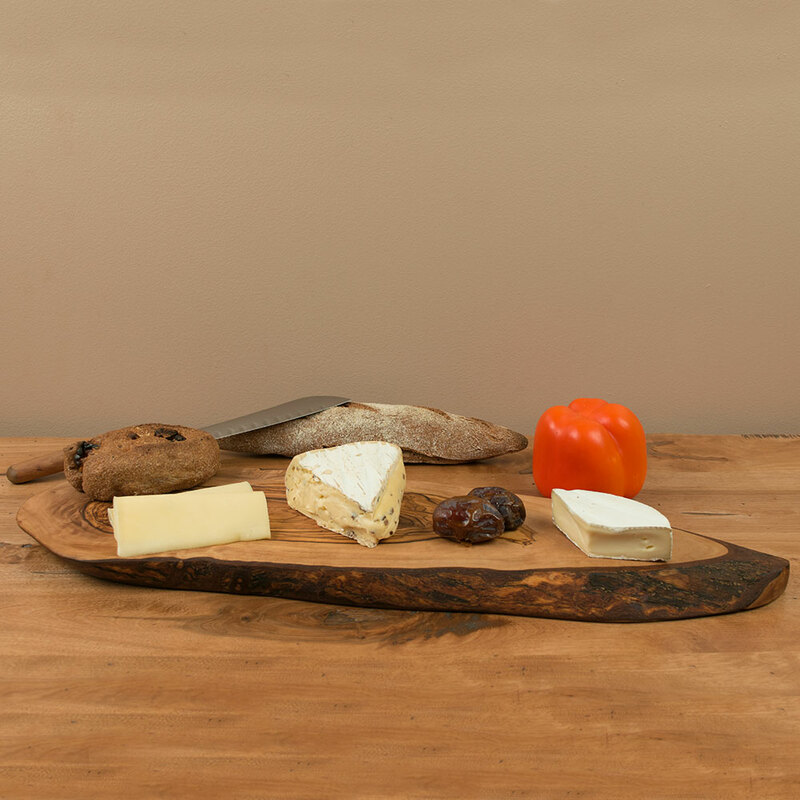 Our wooden serving & cutting board is handmade from original Italian olive wood, sourced from the beautiful Umbria region in Italy. 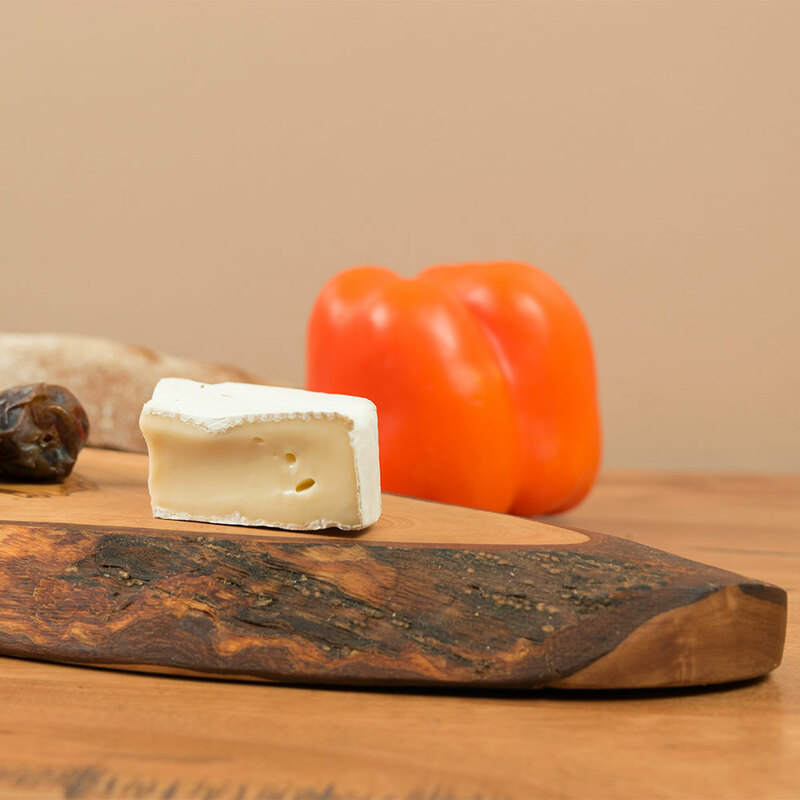 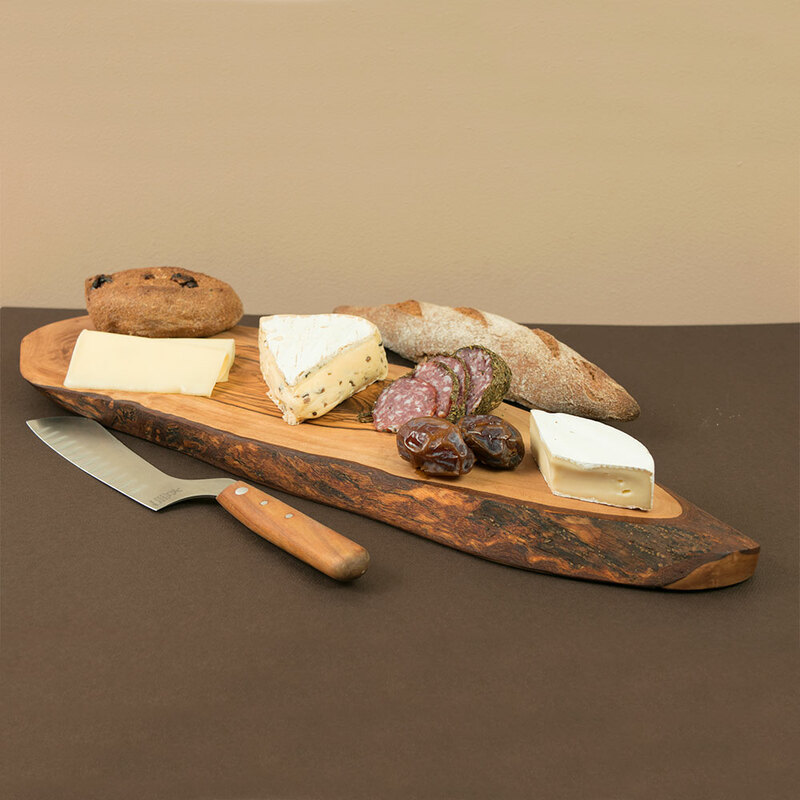 Cut from one single piece of natural Italian olive wood, our cutting & serving board is a stylish rustic way to serve charcuterie, cheeses, small bites and more. 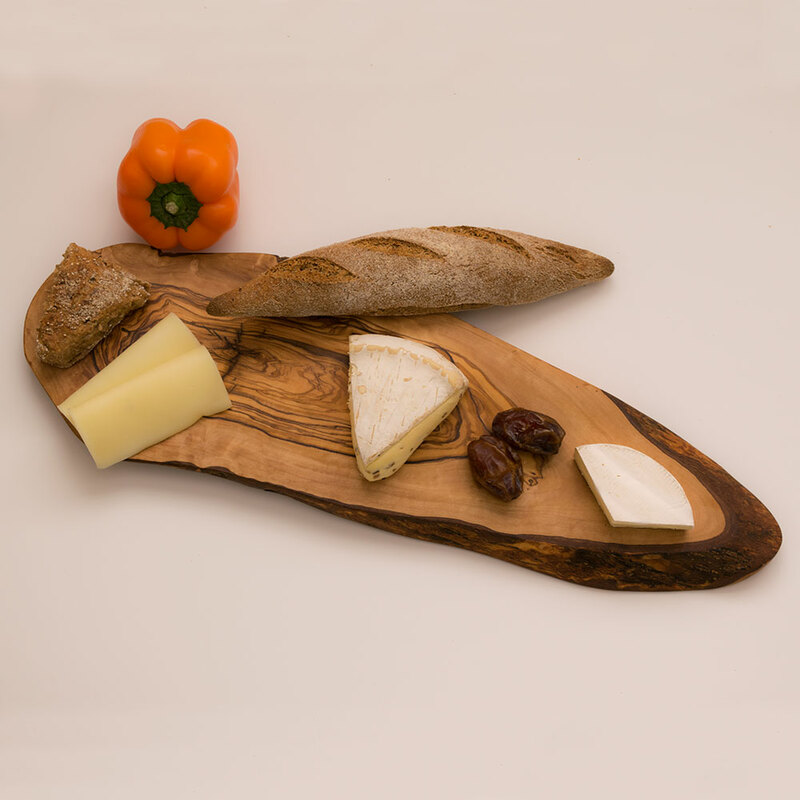 Both sides of the olive wood board are completely flat and can be used for cutting or serving. 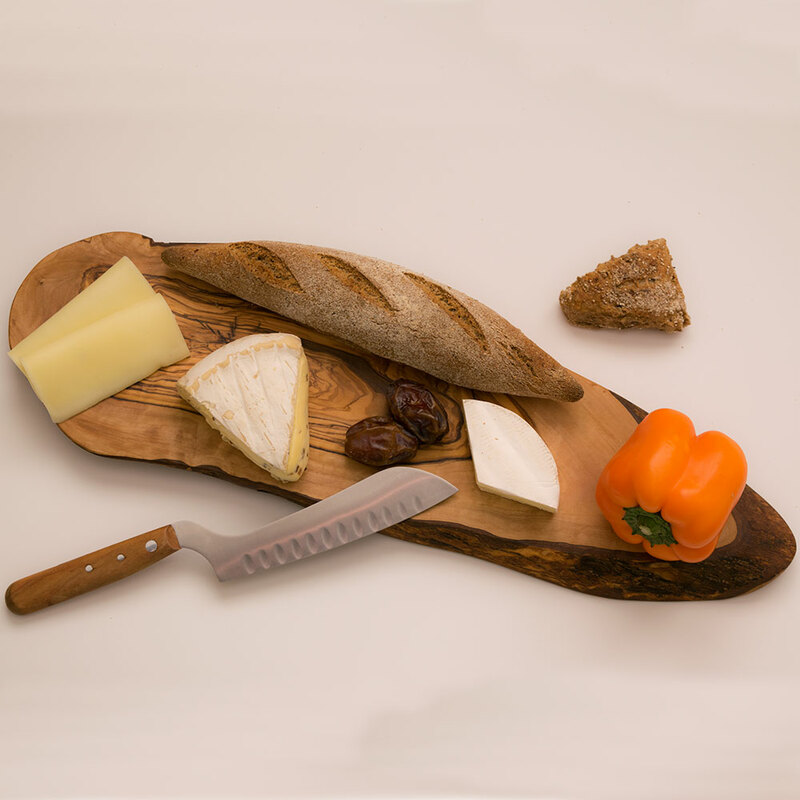 Each of our handmade olive wood cutting boards is a unique piece. 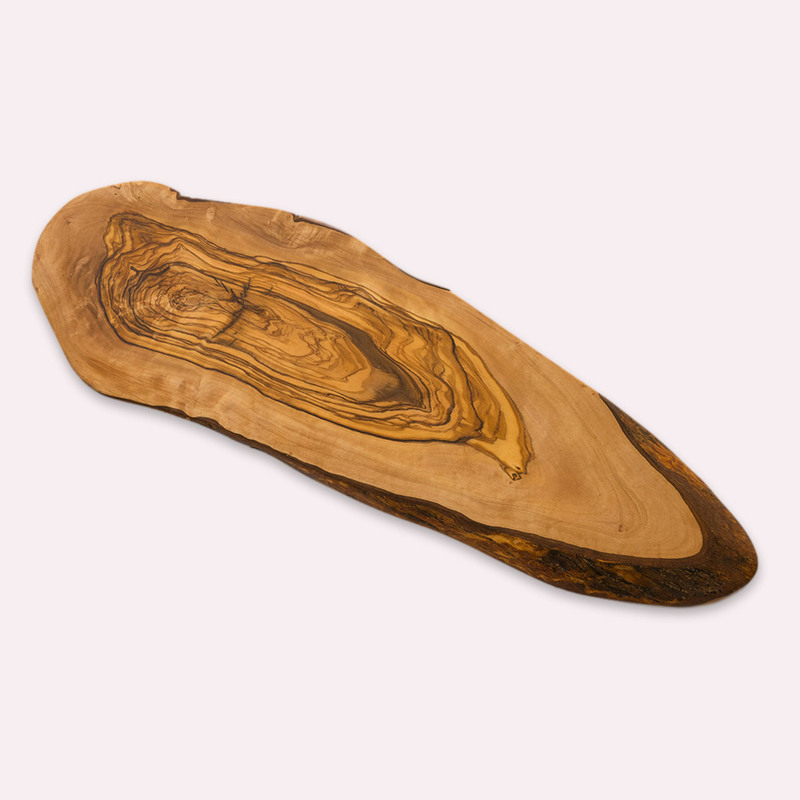 The grain pattern, color, shape as well as dimensions might differ slightly from the product pictured.